*We have great news for you! Thai authorities have finally dropped extradition charges against refugee footballer Hakeem al-Araibi. He will now be able to return to his family and friends in Australia. This is a triumph for human rights activism. Thank you for all your support throughout the campaign! Former Bahraini national footballer Hakeem al-Araibi is languishing in a Thai prison in grave danger of being deported back to Bahrain. There he could face an unfair trial, imprisonment and even torture. Since 2011, Hakeem has spoken out against torture and other rights abuses in Bahrain. In 2014 he fled Bahrain after being unjustly convicted of vandalizing a police station, a crime that took place while he was playing football in a televised game. He has since been granted refugee status in Australia and is playing for an Australian team. Last December he went to Thailand with his wife for their honeymoon, but at the Bangkok airport was detained after Bahrain authorities issued an illegitimate INTERPOL “red notice” for his arrest. Although the red notice has since been lifted, Hakeem remains in detention. 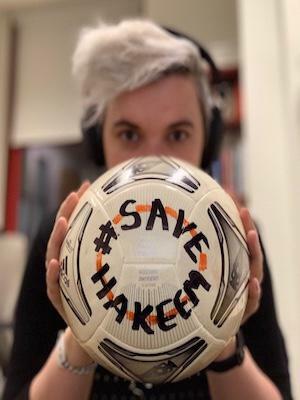 As a registered football player, Hakeem should be protected by the strengthened human rights policy of FIFA, football’s international governing body. 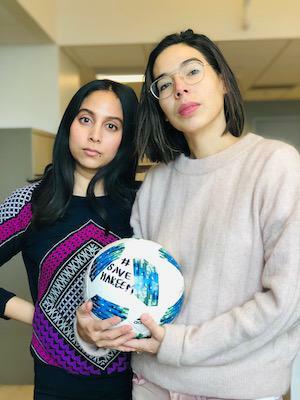 So far FIFA has not taken action on Hakeem’s behalf. We want this to change. Please join our call and urge Thai authorities to stay true to Hakeem’s refugee status and allow him to return to Australia. If he is deported to Bahrain he would be at grave risk of serious abuses. Please join our call and urge the Thai authorities to stay true to Hakeem’s refugee status and return him to Australia. 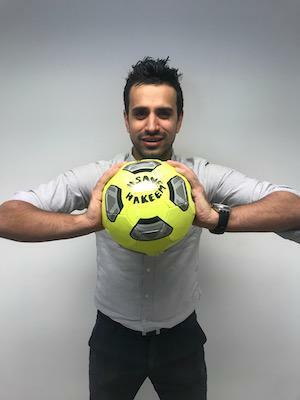 Please release Hakeem al-Araibi now and allow him to return to his family and teammates in Australia. 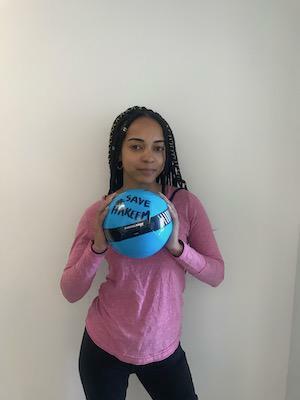 Join Our Solidarity Action To Show Your Support For Hakeem! Do you have a sport ball and a camera or phone? 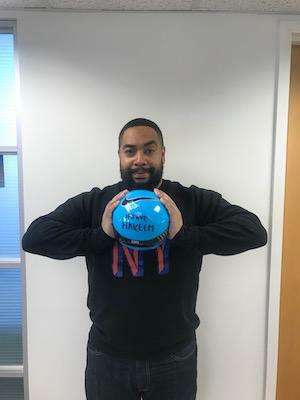 It doesn't have to be a Football! 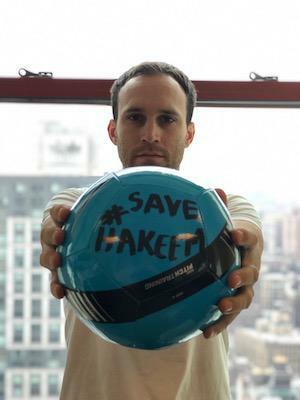 If you do, we want you to write #SaveHakeem on the ball, then take a photo of yourself holding it and share it on Social Media with your message of support. It only takes a moment but could make a world of difference! We look forward to seeing your posts! The story of Hakeem al-Araibi, Refugee Football player at risk of return to torture—and how regimes punish those who speak out.